but with no husband and her family still recovering from her bother’s death, Grace is more alone than ever. I am lucky in that so much of what I do involves writing. I have a full-time job working at the Department of Veterans Affairs, leading studies with veterans living in nursing homes and nursing home staff. That involves writing grants. Nights and weekends I reserve for writing my books. And if I’m not doing either of those things, I’m usually writing my next installment of the Wild at Heart romance newsletter. So I’m a happy camper! My first book, So Far Away, a memoir about my experiences with my parents’ end-of-life journeys, was published in 2011. I began working on that book in 2008. The pivotal point of my writing life, without question, was deciding to write my first book. 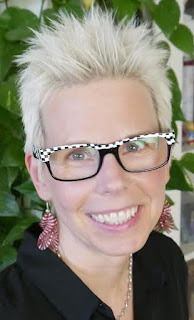 Before I made the decision, I would say things like, “If I won the lottery and had lots of free time, I’d love to write books.” The pivotal decision was choosing to make time for writing, not expecting time for writing to fall into my lap. Reprioritizing how I spent my time outside of work helped me find the space to write. I’d work on the next installments for a trail romance series in my newsletter. I did a survey of hikers who found romance on long-distance hiking trails. Couples sent me the most amazing stories. I can’t wait to get back to writing them up. I’d love to set a story somewhere in Europe, maybe Paris, Barcelona, or Rome. Back to your present book, Wild Within. How did you publish it? My agents pitched the book to publishers. We signed a contract with Limitless Publishing, a terrific smaller publisher with a wonderful group of authors. Wild Within is set on the Pacific Crest Trail (PCT), a long-distance hiking trail that runs from Mexico to Canada through California, Oregon, and Washington. I did some day hikes on the PCT, but I luckily didn’t have to hike the whole thing! My husband is a long-distance hiker and trail developer. He finished the PCT in 2004, so I picked his brain for details, in addition to reading a lot about the PCT in books and online. Why was writing Wild Within so important to you? My first book was non-fiction. What I write for work is non-fiction. 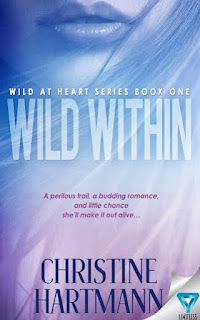 I broke into the world of romantic suspense novels with Wild Within, so it’s very important to me for that reason. It’s the first book of the Wild at Heart series, a series with two books (Book 2 will be out this fall) and counting. I get a lot of great ideas while I’m sleeping. I think it’s because I go to bed with the story I’m writing still whirring in my mind. I assume it keeps whirring while I think I’m at rest because I frequently wake up knowing the answer to a problem I couldn’t solve the day before. -Everyone says it, but life is short. For me that means spending as much time as possible with people I love, doing what I love, and helping others. When those three things align, as they sometimes do in my writing, it’s miraculous.